By Professor Chris Wood. Published in 2002. 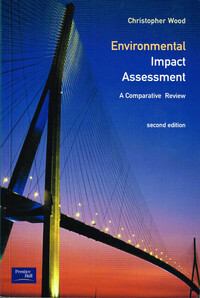 Environmental Impact Assessment (EIA) has become a vital management tool worldwide. EIA is a means of evaluating the likely consequences of a proposed major action which will significantly affect the environment, before that action is taken. This new edition of Wood's key text provides an authoritative, international review of environmental impact assessment, comparing systems used in the UK, USA, the Netherlands, Canada, the Commonwealth of Australia and New Zealand and South Africa. By Anthony L. Williams. Pulished 2012. 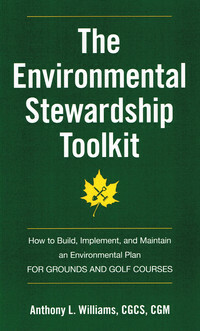 This work supplies the single source guide to the environmental management, resource management, community engagement, and documentation management of golf courses and grounds. With detailed coverage of site assessment, water quality and conservation, wildlife habitat management, IPM, and resource conservation, this book offers guidance and customizable implementation plans from a leading golf course superintendent and grounds manager. Illustrations, photos, and sample documents throughout allow readers to visualize what′s explained in the text, and then implement it using templates provided. By Bob Cupp & Ron Whitten. Published 2012. Golf’s Grand Design, prepared as a companion volume to the PBS documentary of the same name, expands upon the information presented in the television program. 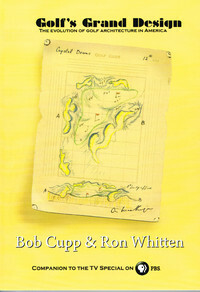 The book features rare sketches and diagrams of golf holes—some never before published—by 34 past and present golf architects, including Alister MacKenzie, Pete Dye, Bill Coore, Ben Crenshaw, Tom Doak, Gil Hanse, Doug Carrick, Steve Smyers and David McLay Kidd. By Gordon Witteveen. Published 2012. 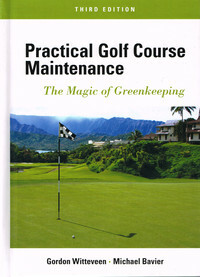 The revised, bestselling resource of practical, nontechnical advice for maintaining and operating a golf course, Practical Golf Course Maintenance, presents the latest information and techniques for providing first-rate upkeep and management operations for any golf course. The book′s, clear, step-by-step coverage, unencumbered by technical language, includes critical advice on maintaining consistent bunkers, sand top-dressing and aerifying, pesticide storage, and other emerging technologies, as well as mowing techniques for greens, fairways, and tees—and much more! By Peter Pugh & Henry Lord. Published 2012. For those old enough to remember, the Ryder Cups before the 1980s were often dispiriting affairs, especially if you were British. The Americans were simply too good and the British won only very occasionally. 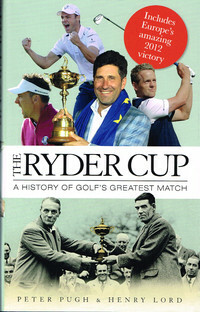 There was the odd exception such as the famous British led victory at Lindrick in 1957 when the team was led by the redoubtable Welshman, Dai Rees, and the draw in 1969 inspired by Tony Jacklin, who had become the first Englishman to win the Open Championship since Max Faulkner won at Royal Portrush in 1951. By George Peper, Iain & Chris Lowe. Published 2012. 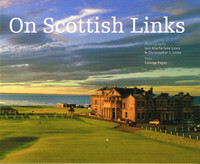 On Scottish Links showcases the magic of the top 13 links courses of Scotland by a team familiar with this rugged links land. George Peper combines with photographers Iain and Chris Lowe to present St Andrews Old Course in all her glory, before embarking on a journey onto the strongest courses around the coastline of Scotland. A round up of recently published articles from a range of magazines and online newsletters. All the usual titles have been covered, including the latest issues of Golf Environment Europe, Greenkeeper International, and Greenkeeping.